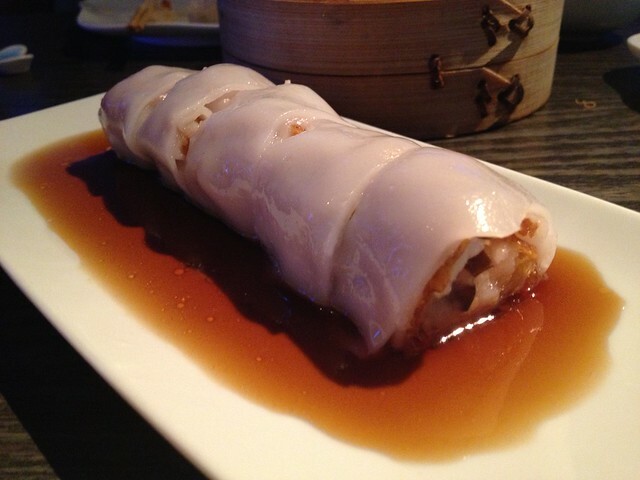 I love rice noodle rolls for dim sum! 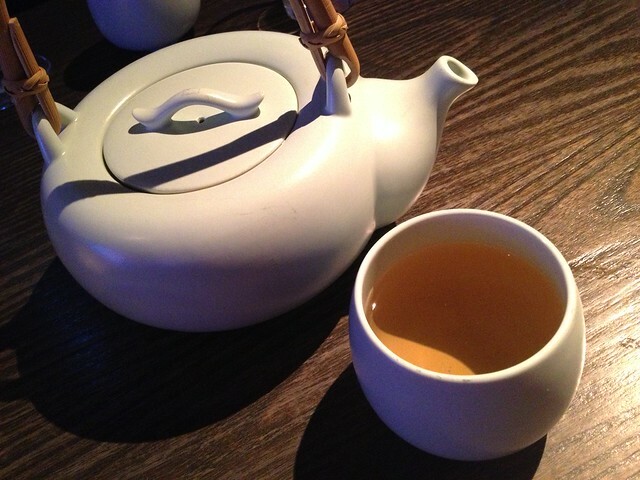 This was filled with a mixture of prawns and bean curd. They are fun to eat and the sweet soy sauce tastes great it with. Noms! 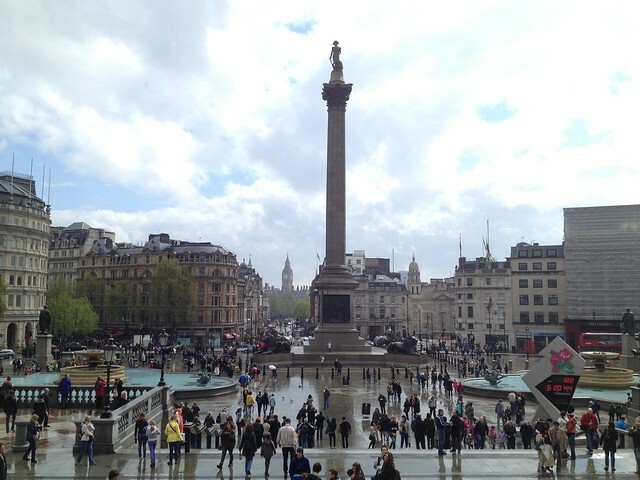 Trafalgar Square on a rainy day. I can appreciate how Mama Ji’s is NOT afraid of keeping their dishes spicy. 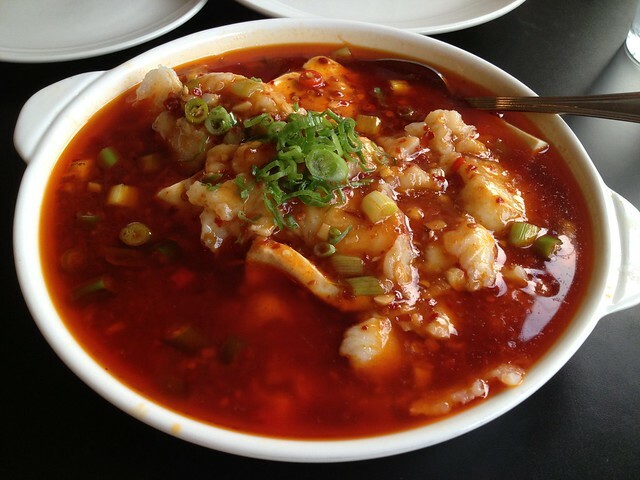 I do, however, have a hard time eating an entire bowl of chili oil! Sheesh, that is A LOT of oil for one dish! The fish, if you drained it a little from the oil, was tender and well-cooked though. The portion size of their lunch plates are ridiculous! All that food for only six dollars! The dish tasted pretty good too. 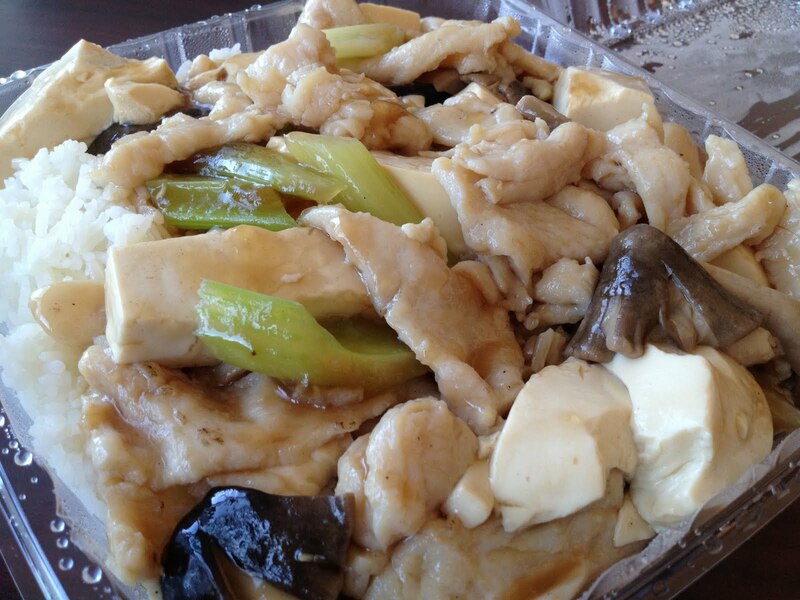 They use large pieces of chicken breast and I love the whole mushrooms. Noms! Steamed bean curd skins stuffed with what tasted like a meat and shrimp mixture, in a brown sauce and topped with chopped green onions. This was one of the few successes during my visit to ton Kiang. It was very tasty and the 3 pieces were decently sized. I’m not sure what the oily brown sauce was, but it had a nice mild flavor. 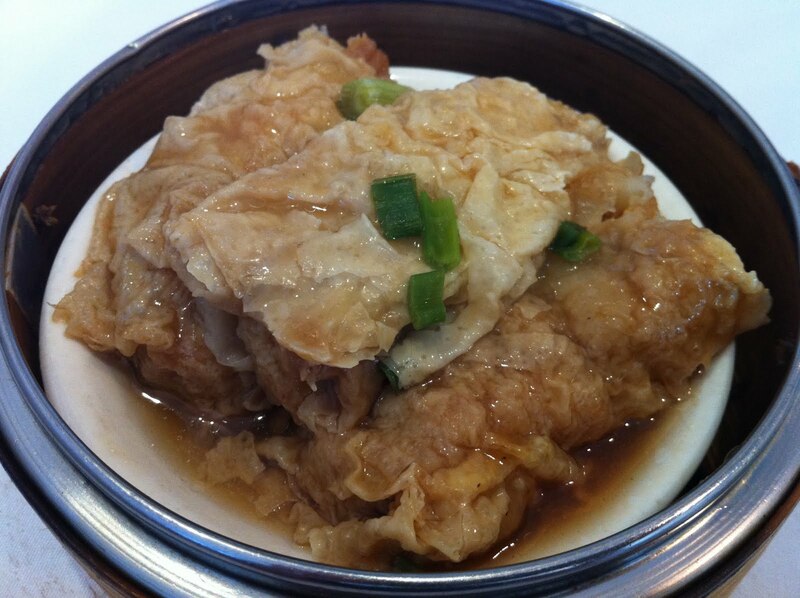 I loved the texture of the soft, filmy tofu skin surrounding the dense meat filling. I don’t know if these skins were store bought, but I would love to see how they are made by hand. It looks pretty cool from what I’ve seen online!